This is a “recipe” I made up using the new Daiya cheese. You can adjust the amounts to taste, but I wanted to have some kind of measurements. I make this in the morning for my daughter and then put it in her thermos for lunch. When I do that, I cook the noodles about 2 minutes less. Fill the thermos with hot water and put the lid on for a few minutes to get the thermos hot, then fill with the mac-n-cheese. Cook the noodles according to the packaging (Tinkyada Elbows are16 minutes). Rinse in cold water. While draining the noodles, add the butter, cheese, salt, and pepper to the saucepan and heat on low until butter is melted and cheese starts to melt. Add the noodles and stir till completely mixed. Makes 2-3 servings. You can find Daiya cheese at Whole Foods or at some local health food stores. This is a Chipotle copycat recipe. We use Xochitl corn chips. I throw everything but the avocadoes in a food processor. Mash the avocadoes and add the other ingredients to it and mix. (Putting the avocadoes in a food processor supposedly causes browning.) Store remainder in the fridge for up to 2 days. The dip will brown some. Just stir it. You can also use half lemon and half lime juice if desired, or add ½ tomato diced for variation. This also makes it into the lunch box for school. I got this recipe from a new GFCF cookbook called “Cooking for Isaiah” by Silvana Nardone. She works for Rachel Ray. I got it at Border’s Books. All of the recipes we have tried so far have been surprisingly good and pretty simple as far as GFCF goes. My very picky non-GFCF son even likes this cookbook. Cut up chicken breasts into strips then dip chicken into a small bowl of olive oil (or slightly beaten eggs if you can do eggs). Coat chicken with Frito mixture and place on to a slightly oiled baking dish. Cook at 425 degrees for 20 minutes. I use the Frito Scoops for this recipe. Fritos have cross contamination issues but the Scoops are supposed to be run on a separate line so have less CC issues. This recipe also included a honey mustard dipping sauce recipe but we didn’t try it. 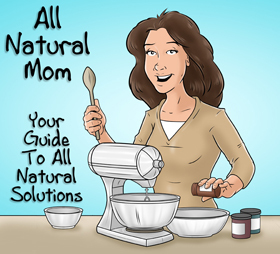 Author of "All Natural Mom's Guide to the Feingold Diet"
The Treating ADHD Naturally Conference is coming back to Chicago May 23, 2018! More details coming soon at www.mothersdetermined.com. Posted in Miscellaneous and tagged Feingold Diet Info. Had to comment! 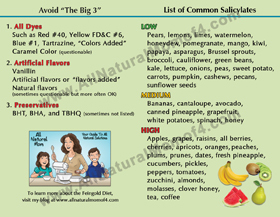 Been using this great site for years, raising 2 grandkids with long lists of allergies and other problems. Used Feingold for my kids too. I recently had to go gluten free, and as old as I am, IT HAS BEEN HARD! [Raised on processed foods and gluten] This recipe is GREAT! Have given it to family and friends that are not on special diets, they loved it too! We use a BBQ sauce for dipping. THANKS SO MUCH FOR BEING HERE! 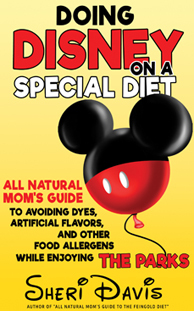 "Doing Disney on a Special Diet" available now at Amazon. Click the image to view the book at Amazon. 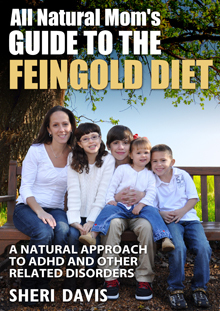 Looking for help implementing the Feingold or GFCF (gluten and dairy free) diets for your child with ADHD or autism? Or need guidance with biomed or anything else I cover in my blog? I'd love to answer your questions! Click on the image for details.